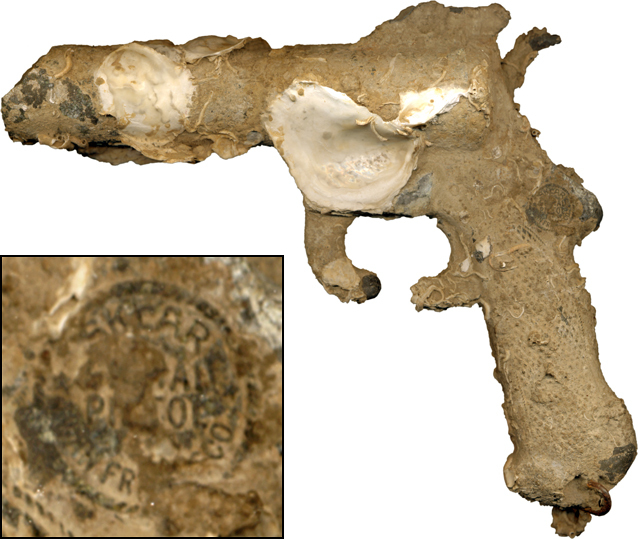 CM: The present object is a World War II 37mm caliber Sklar Flare Pistol that is covered with sea debris. The actual date is struck over the trigger, but is covered by the debris. The maker's mark cast in a circle at the handle's top part and is just about visible. Such pistols were used during the War and saw much usage as part of lifeboat survival gear and aboard military and commercial vessels.